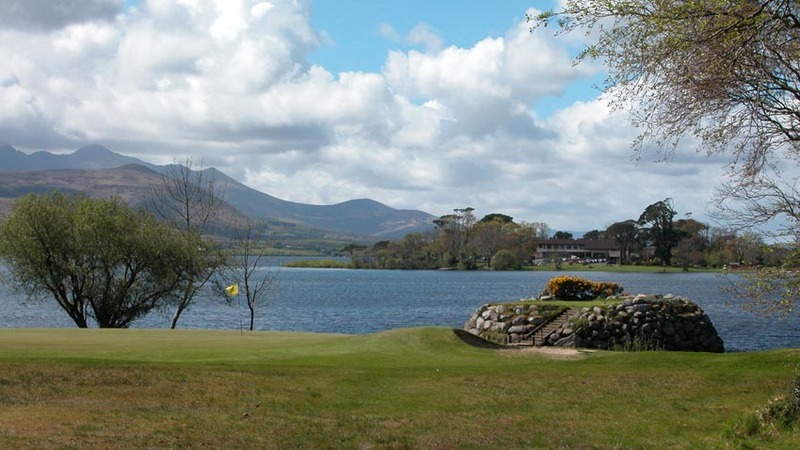 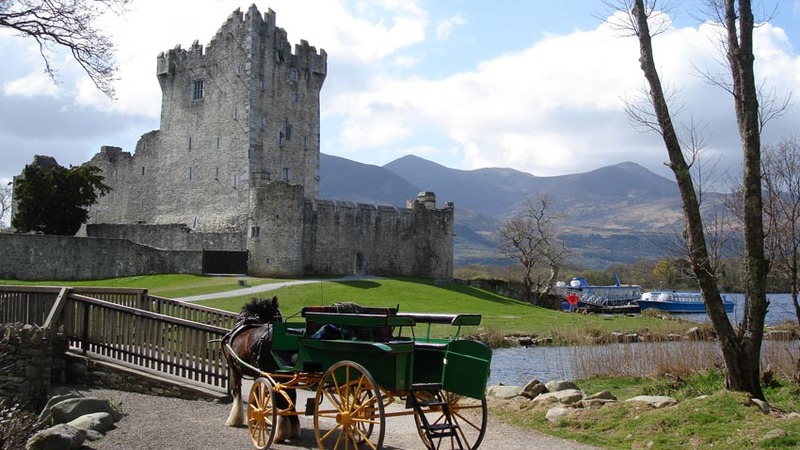 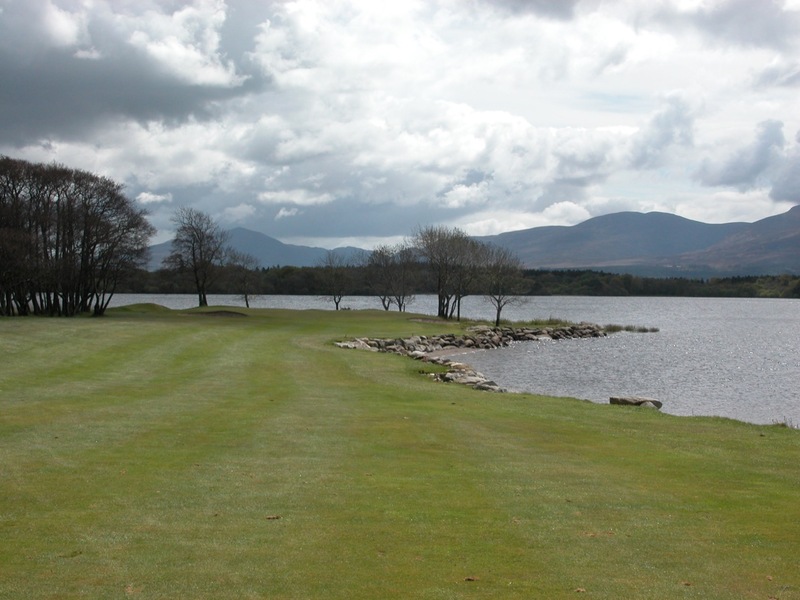 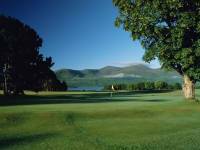 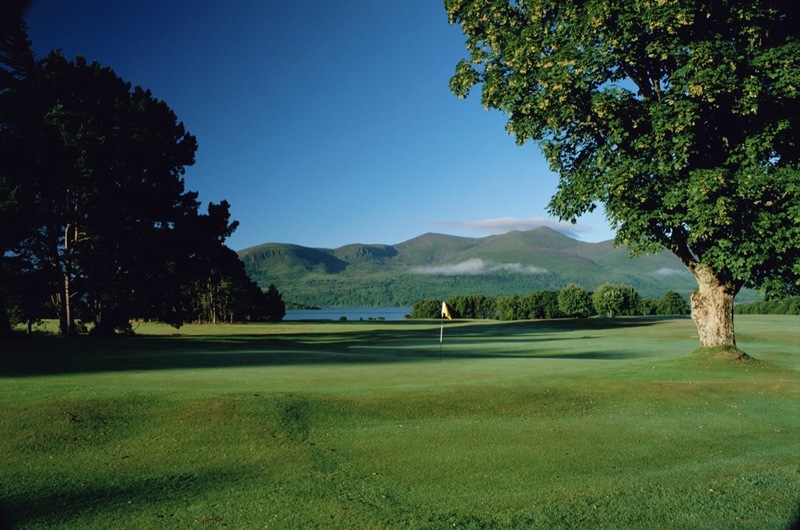 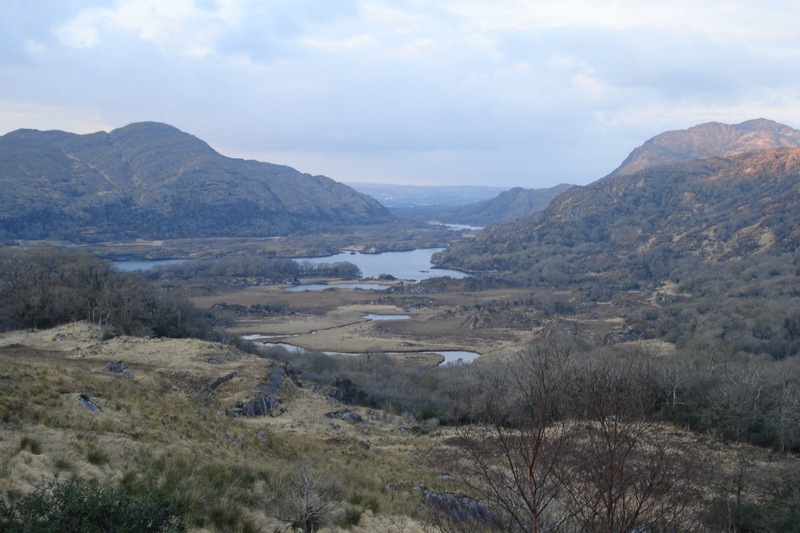 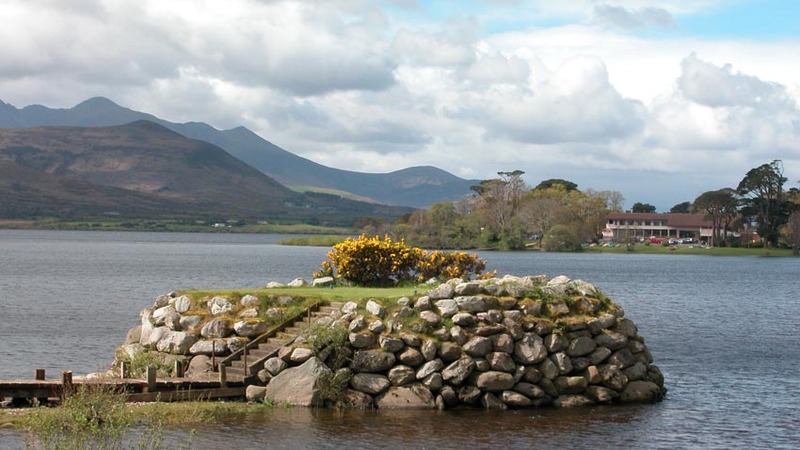 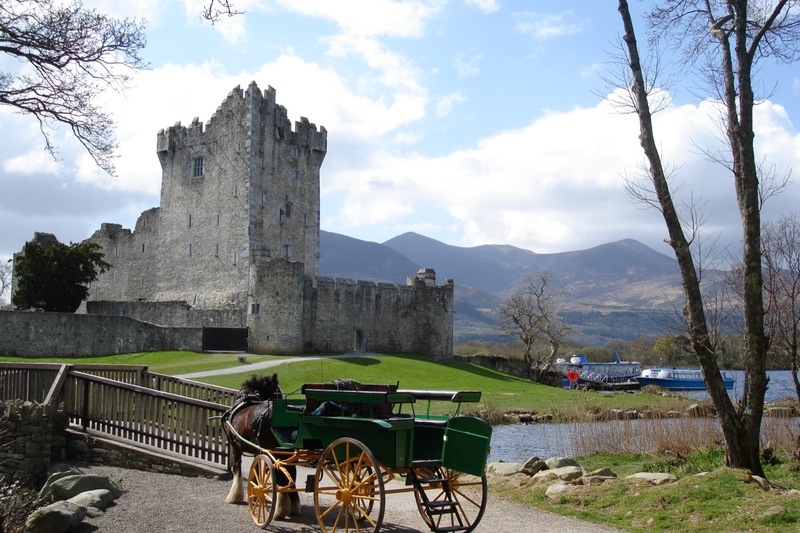 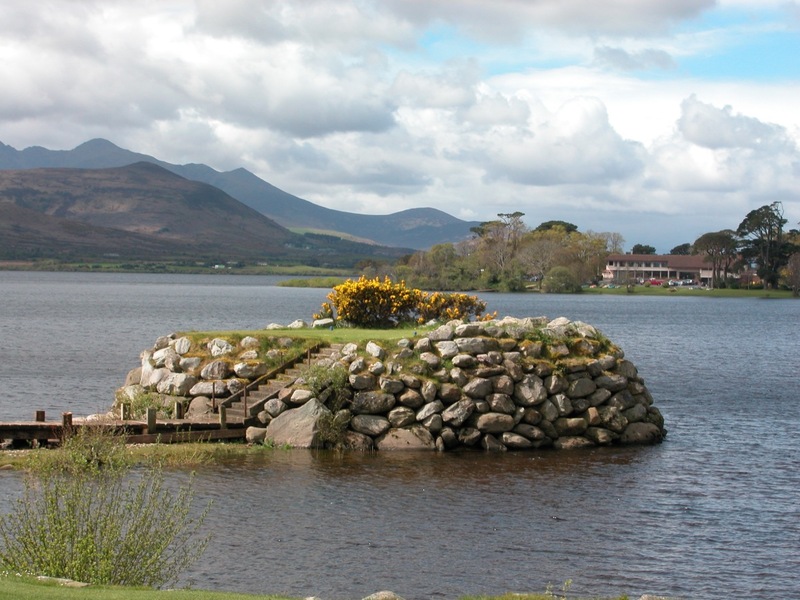 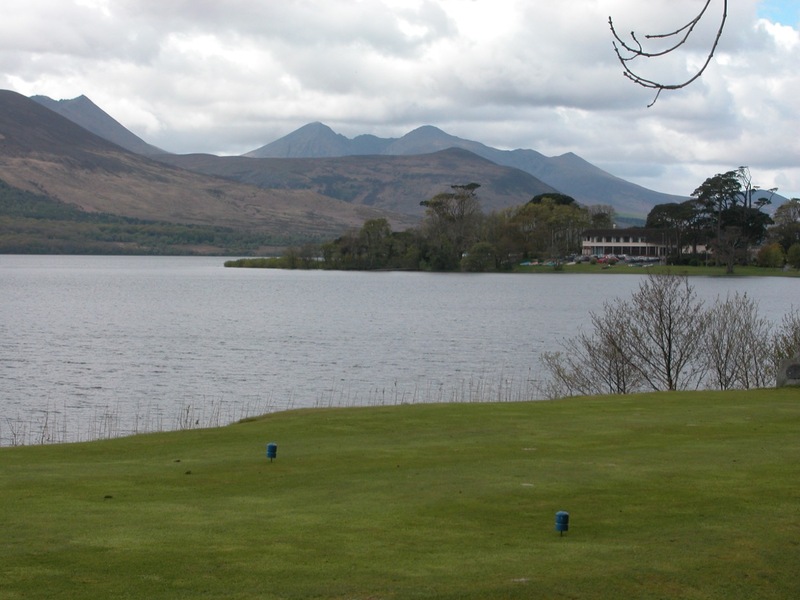 Killarney Golf & Fishing Club in County Kerry Ireland, home of two classic, parkland courses along Lough Leane in the shadow of the famous MacGillicudy’s Reeks mountain range, offers the single most peaceful and tranquil place to play golf on the entire planet in our opinion. 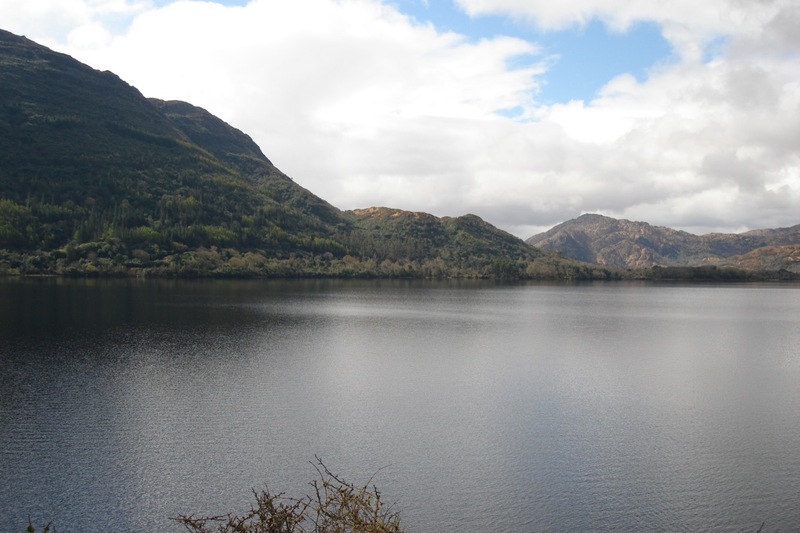 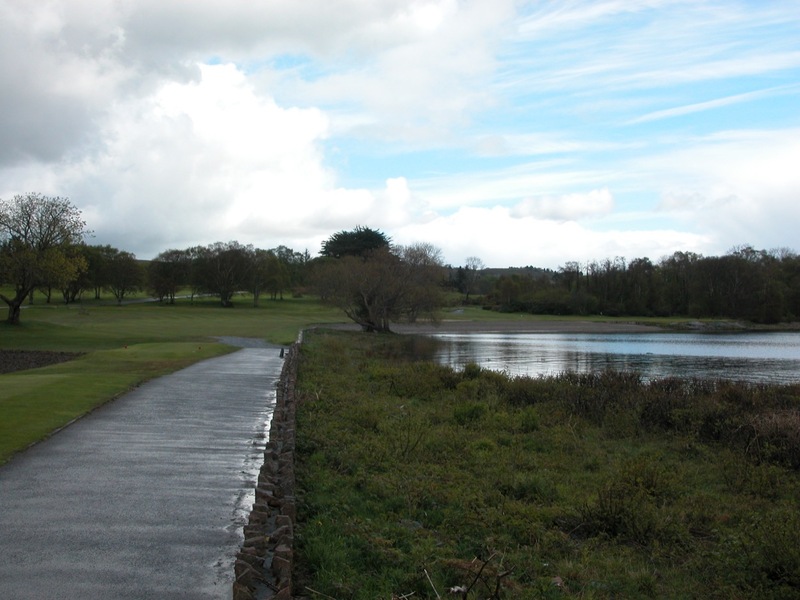 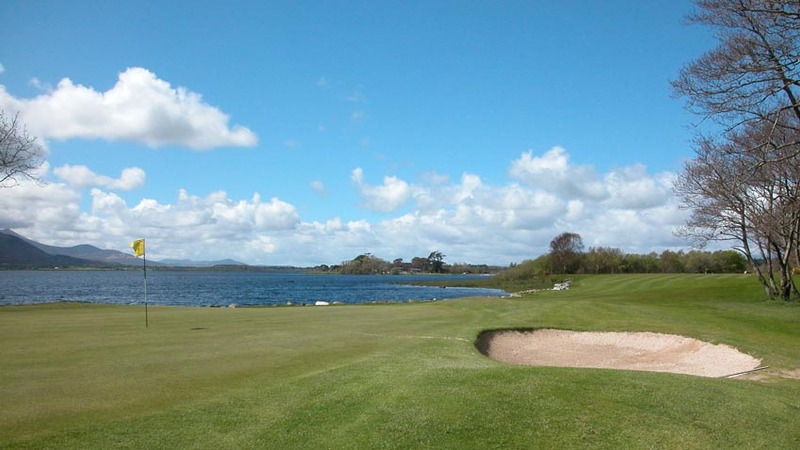 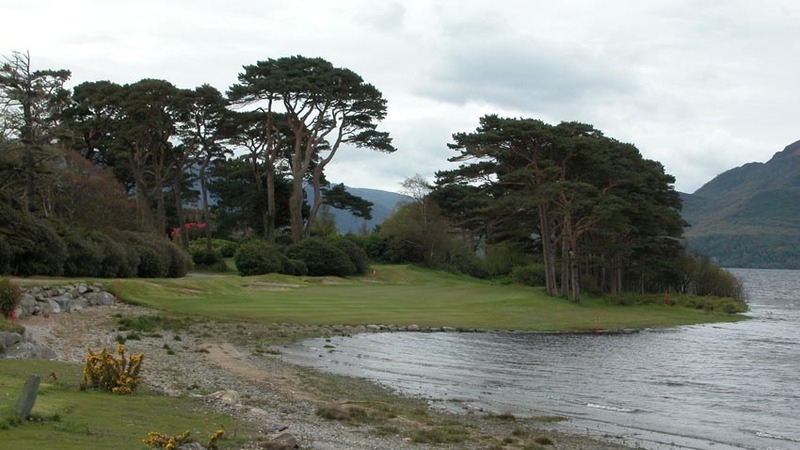 Home of the Championship Killeen Course and the perhaps even more enjoyable Mahony’s Point Course, a round or two at Killarney Golf and Fishing Club can be a wonderful break from the challenging breezes found on Ireland’s great seaside courses. 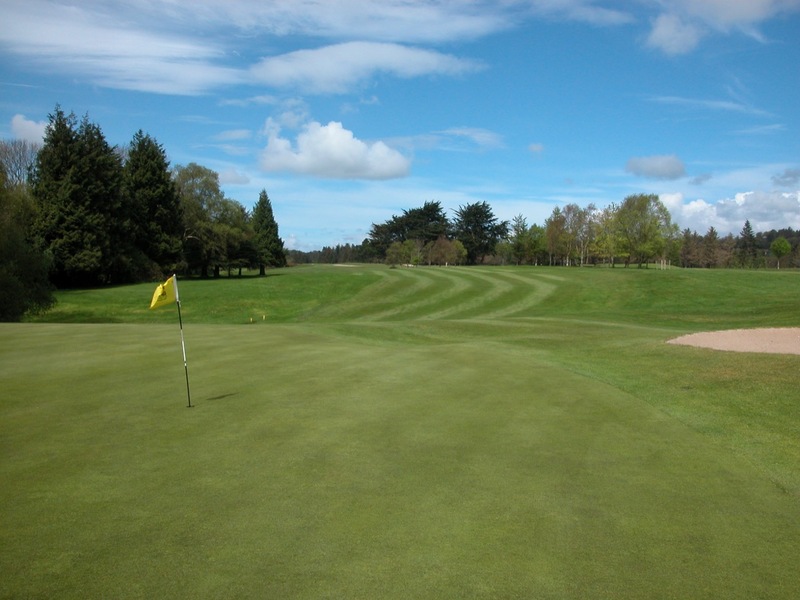 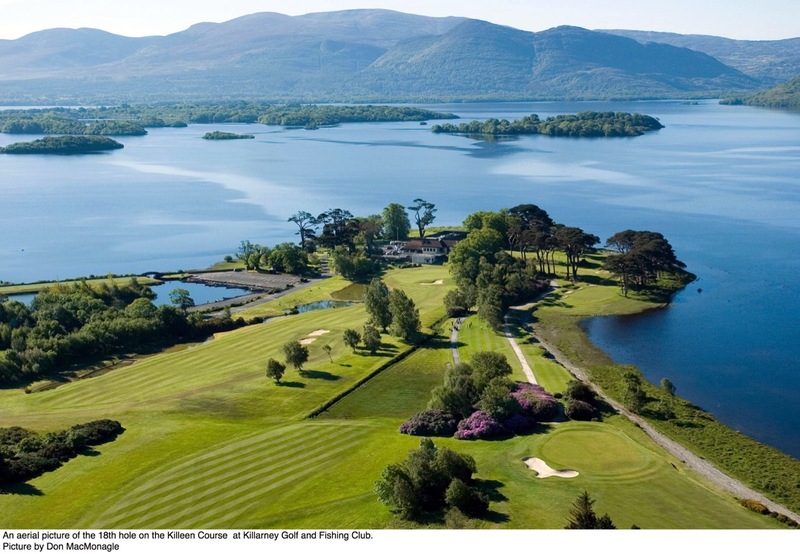 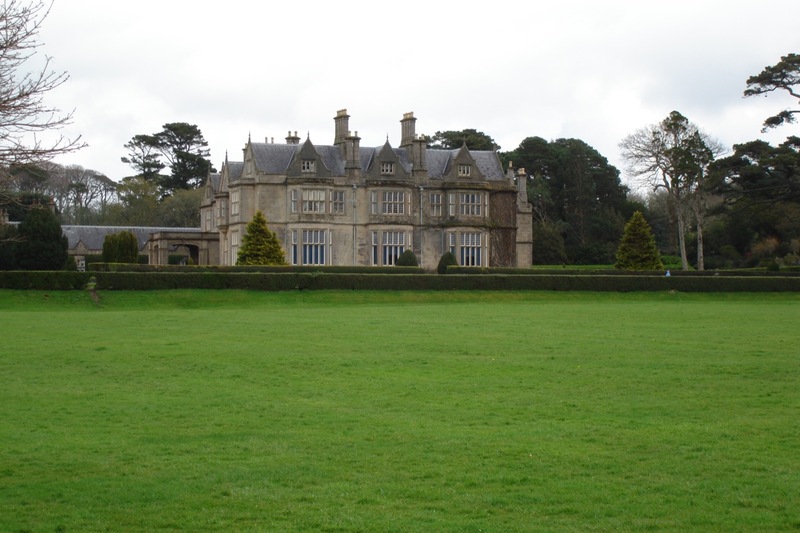 The Killeen Course at Killarney Golf and Fishing Club is one of Europe’s finest inland courses, and was host to three Irish Opens in the early 1990’s, two of which were won by Nick Faldo, and again hosted the Irish Open in 2010 and 2011. 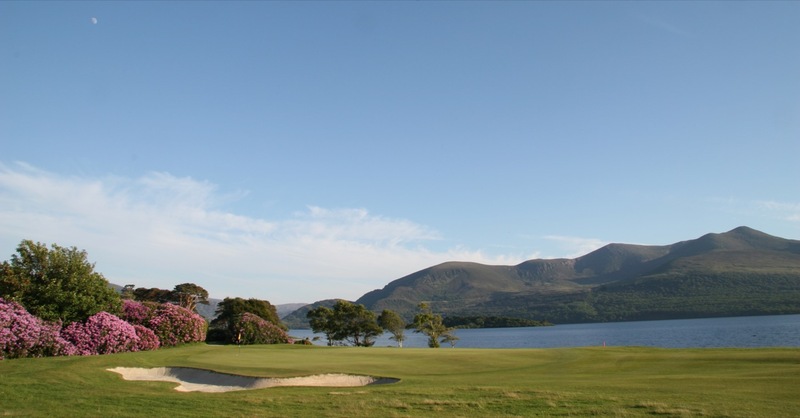 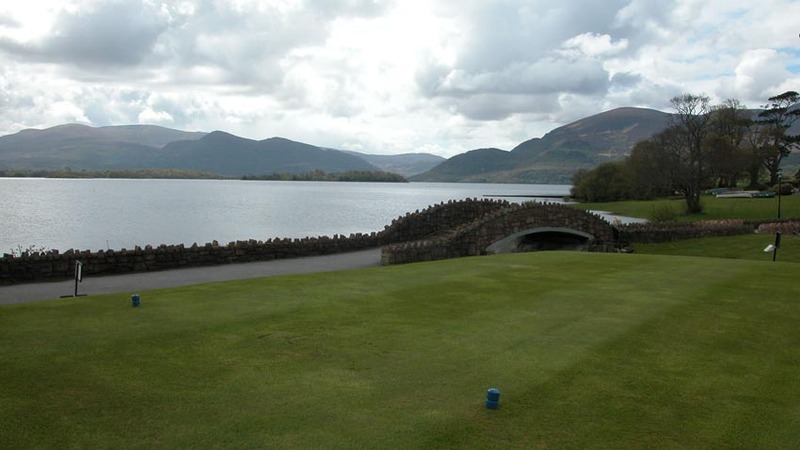 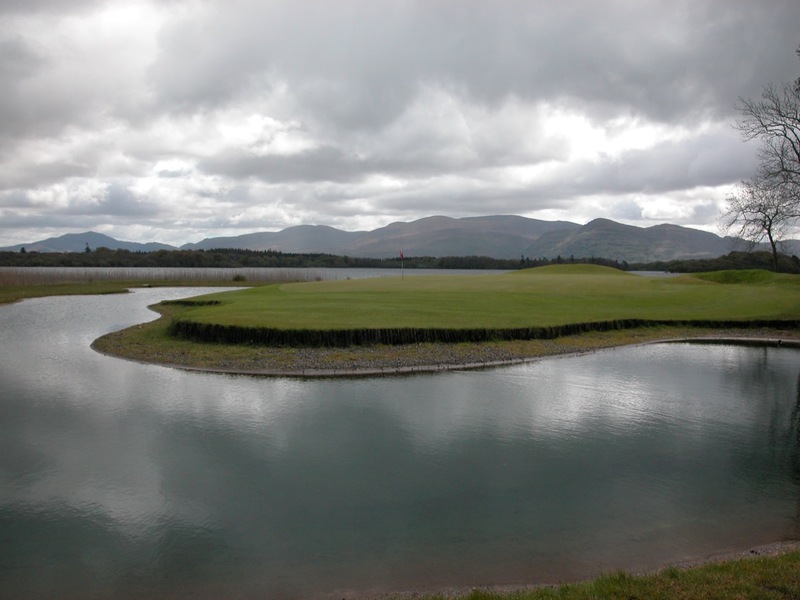 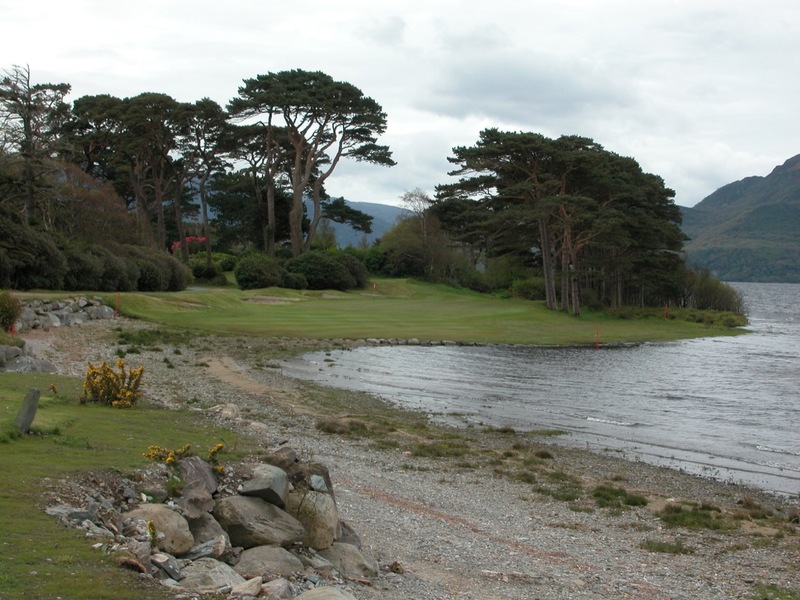 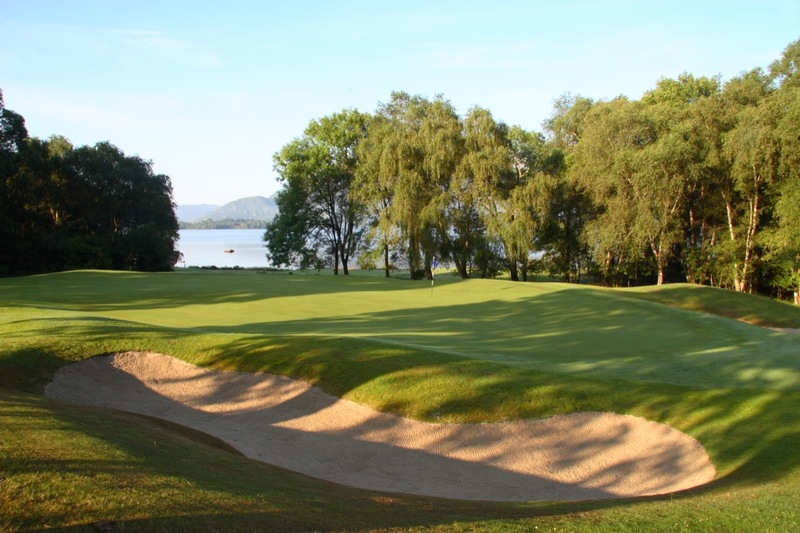 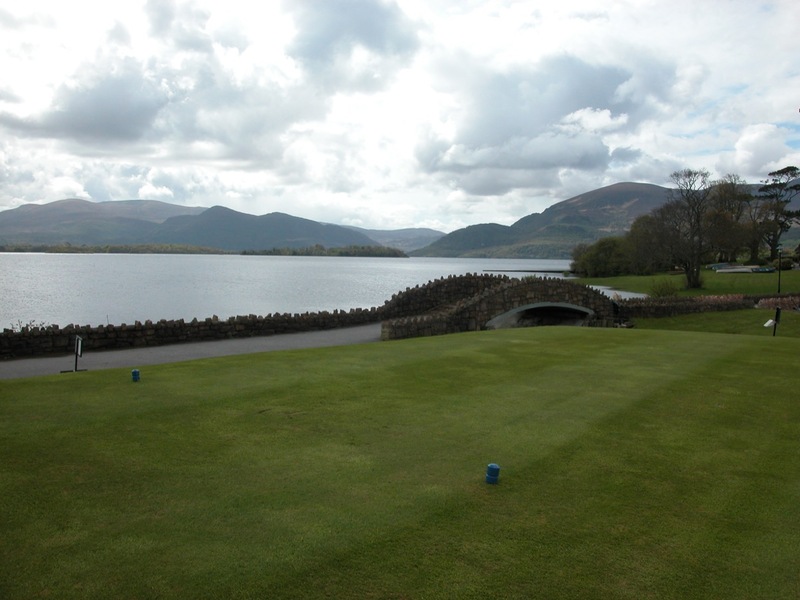 The Killeen Course at Killarney hugs the coast of Lough Leane, and culminates on the 17th with a surprising replica of St. Andrews’ Road Hole 17th green. 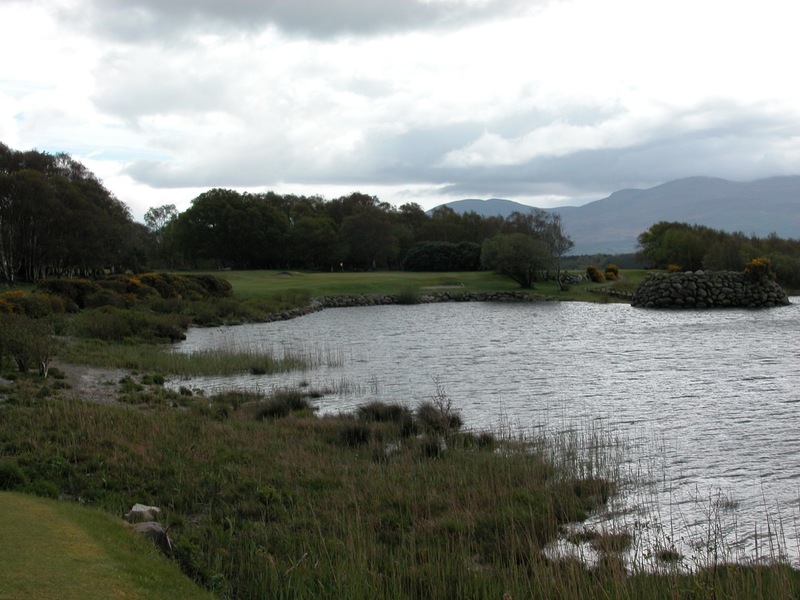 The second course at Killarney Golf and Fishing Club, Mahony’s Point, is not quite as championship in nature as the Killeen. 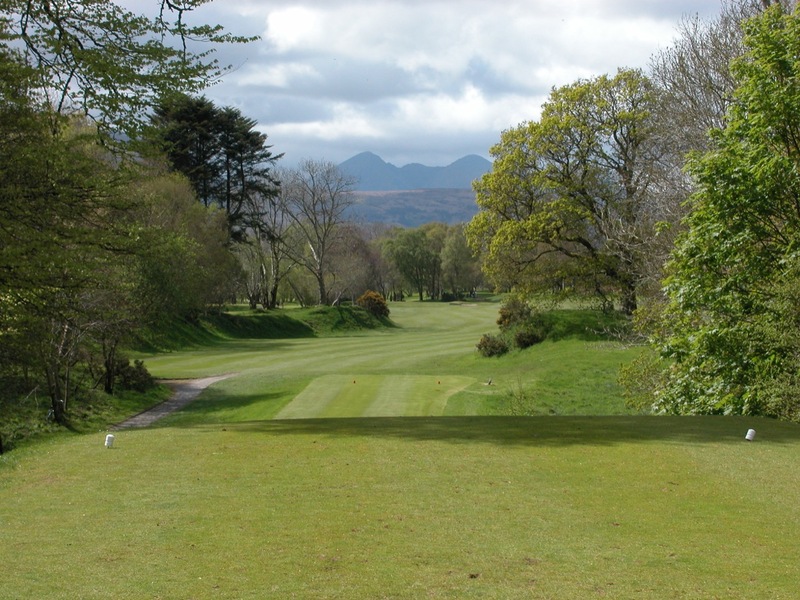 Despite this, we must admit that somehow we might prefer this one. 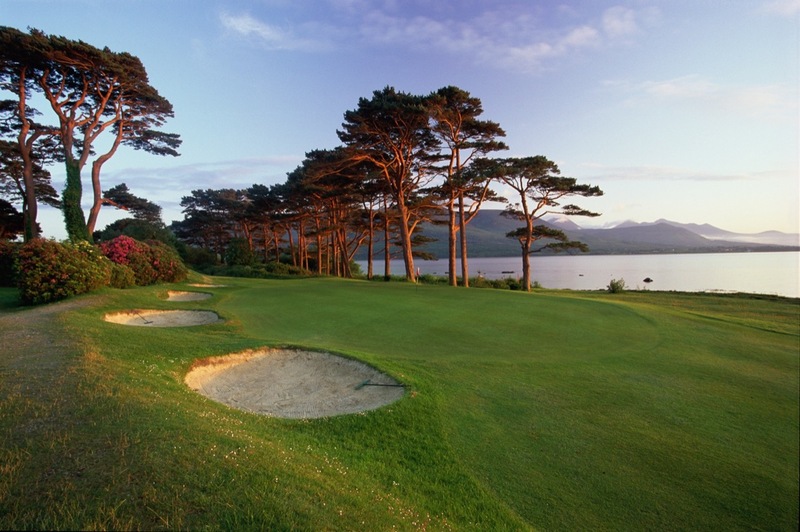 We find ourselves so much enjoying the simple pleasure of playing Mahony’s Point, we almost float from the 1st tee to the 18th green. 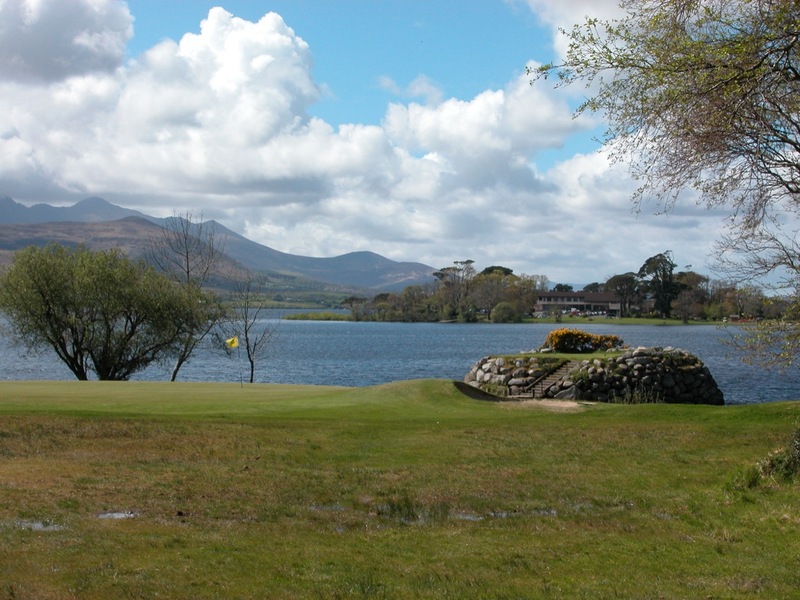 It is also home to the single finest hole at Killarney Golf & Fishing Club, the 18th, a par-3 over a corner of the Lough that the great Henry Longhurst described as “a lovely place to die,” and we have awarded as “the loveliest hole on earth.” For groups that want to base themselves in one spot, Killarney itself is an ideal location with its many pubs, restaurants, and outstanding hotels. 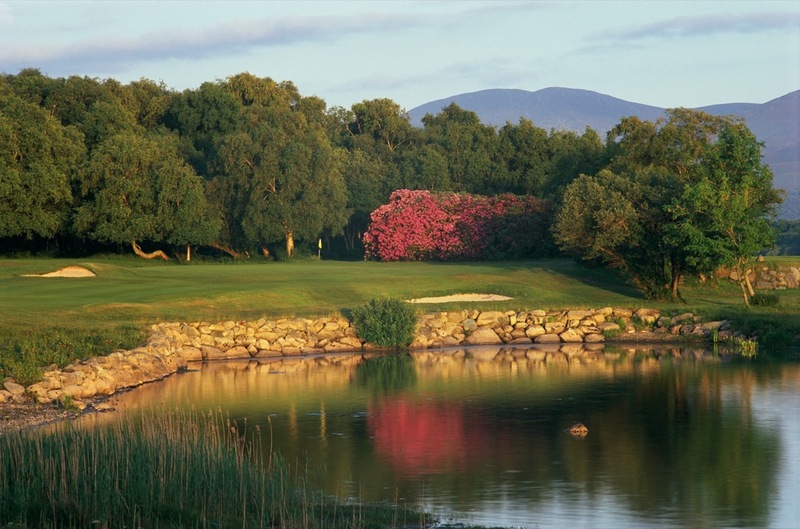 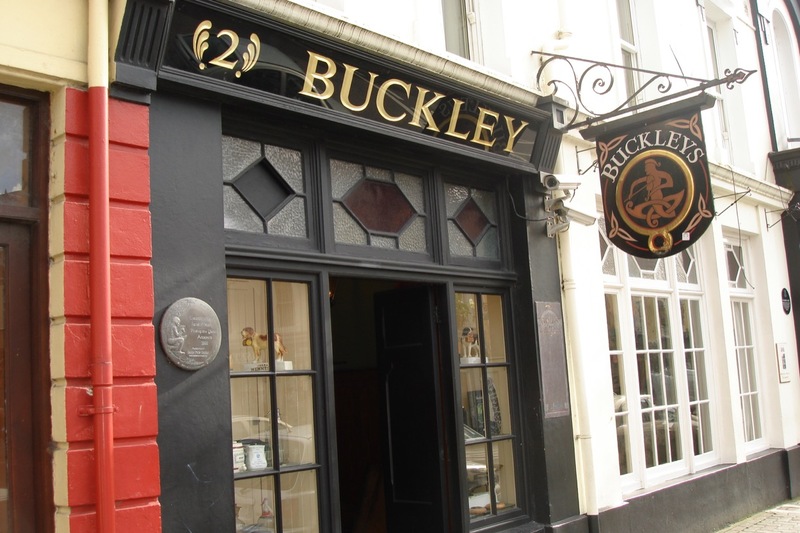 But don’t stay here without including a day at the Killarney Golf & Fishing Club!